Unexpected Change Reveals Character And Talent. Who Are You When You Don’t Know What To Do? Unexpected occurrences throw us off balance. The carefully crafted persona we present to the world cannot shift quickly enough, and our true selves are often revealed. How we react to and process the unexpected is an indication of our trues selves. Doug and I have been thinking a lot about the past. We’ve been working through blockages and confronting the inadequacies about ourselves that we internalized. Sometimes, it felt like we were starting over, trying to create a completely new person… At times, it seemed we didn’t do anything right or know the first thing about being successful monkeys. At the end of 2010, my Mother was dying. Her illness grew progressively worse, and the dreaded finality was at hand. She was in the hospital, nothing could be done other than lessen her pain, and it was all about waiting. I lived about sixty miles away from my parents. It was just the two of them in their home, having been married for fifty years. My Father didn’t know how to take care of himself, having never been in the situation where it was necessary. In the days before my Mother passed, I stayed with my Father at his house. We went to the hospital every morning so he could sit his vigil… We came home in the evening and waited for the call we didn’t want. The call came, and we made it through the day. My brother and sisters and nieces and nephews all blur together… We’re a large tribe. I stayed with my Dad the following week. He was in shock and trying to process his loss. I spent the days cleaning… I cleaned up messes. I cleaned out the garage. I brought each item in for my Father to see… We’d talk about it, reminisce. He made the final decision if it was a keeper or should be donated. He isn’t a hoarder… We let go of a lot of stuff. The house was de-cluttered. Old photos were unearthed and looked over by everyone, and then divided up and taken to new homes. My Mother kept everything… The house was like a museum to her. My Father could not sort through everything, so I did it for him. He sat back and remembered, as I dug into my Mom’s past. My Mother passing was the most difficult thing I’ve dealt with in life. We were close… I’m the youngest of five AND a boy… The baby monkey. I had to deal with my own grief, as well as my Father’s, My then 10 year old daughter and the rest of the family. To deal, I did… I was busy. I was useful. I was strong. I did the stuff others weren’t ready to face… And may never have been able to. I learned that I had a strength that was hidden, from me and from everyone. Decisiveness and leadership emerged spontaneously and took the lead. 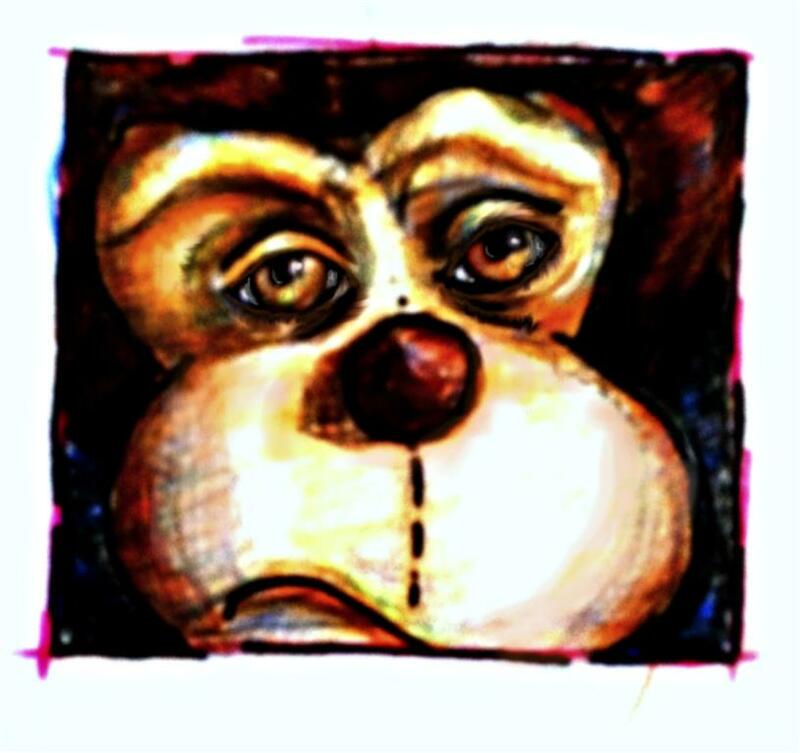 I was strong and nurturing at the same time, and I encouraged everyone to process our loss, and helped them to move beyond it… I was a good monkey. What Character traits and skills were revealed by the crisis (or event… We don’t want to make it all reality television-ish). How did you feel after the event? What are the good parts of you lurking in the shadows? What sprang forward to save the day when it needed saving? My example was easy… It was such a crushing event that I immediately drew on it for this post. Maybe you don’t have something so dramatic to draw from, but I bet there’s at least one time where you sat back and said. “Wow. Look at me!”. Love the title of this post and the story. Thanks for sharin, and yet another great prompt for reflection. I agree with you… We’re who we are because of, and sometimes in spite of, our past. This is extremely relevant to me right now. Thank you Doug.